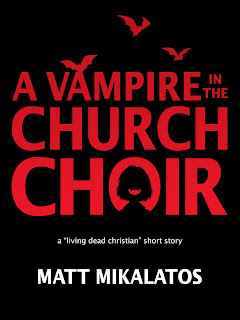 Matt Mikalatos: New "Living Dead Christian" short story: A Vampire in the Church Choir! 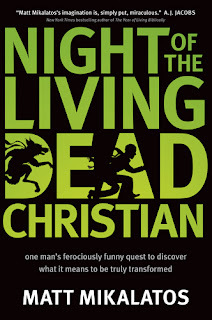 New "Living Dead Christian" short story: A Vampire in the Church Choir! 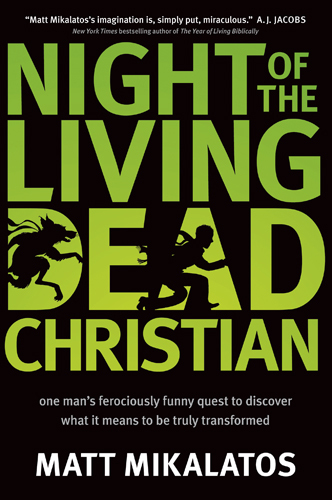 This month marks the first anniversary of the release of Night of The Living Dead Christian, a comedy theology novel about what it means to find true transformation in our lives. 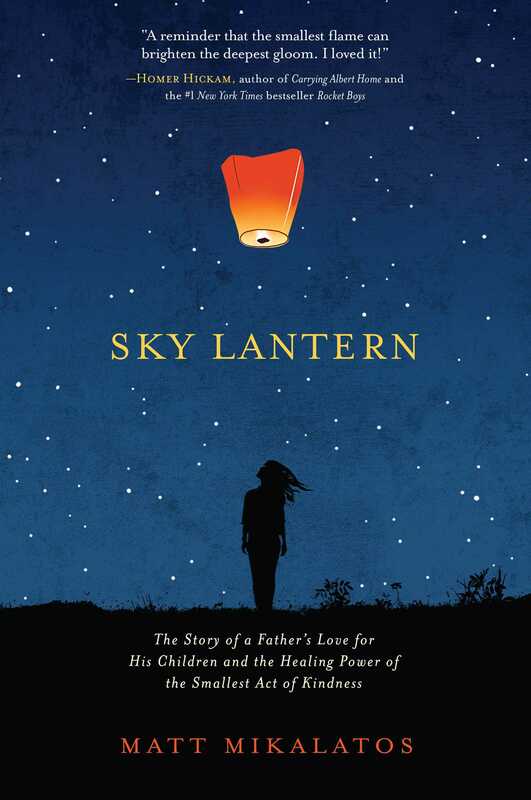 I love this book, and I love the characters in it. Of course. I wrote it. 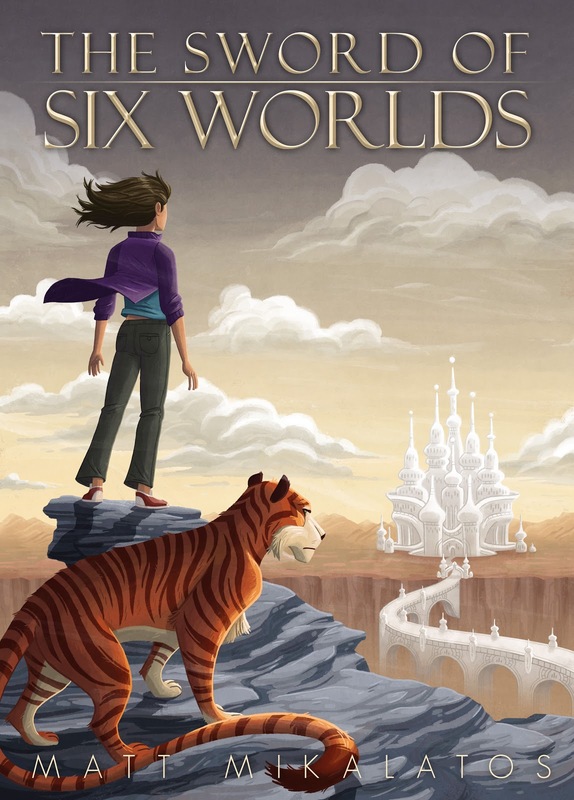 One character in particular, Lara, became one of my favorites, and I wanted to write another story with her in it. 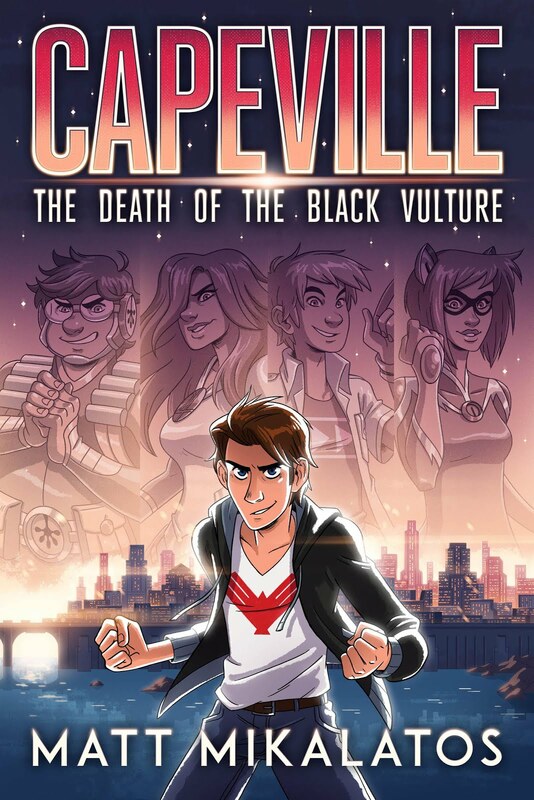 Then I thought, "Wouldn't it be fun to write her story and then make it available online for free on NLDC's anniversary?" You can get it any format right here (including Mobi, for Kindle readers, and Epub for Nook, Kobo and so on). Lara, the newest alto in the struggling church choir, the Sonshine Singers, has a secret. She’s a vampire. Keeping a secret like that – being (sort of) dead – isn’t easy, which is why she came to a Big Box Mega Church in the first place. But now the pastor is preaching on “Monsters In Our Midst” and the congregation is out with pitchforks and torches. Plus, Lara is starting to suspect that the pastor himself is not all he seems, despite the long list of accolades, accomplishments and his slavishly devoted fans. To top it all off, Lara is getting “thirsty” and that long-necked tenor is starting to look like a great big juice box… even worse, the choir's next performance is only three weeks away, and Lara has been “promoted” to soprano. Sounds like a disaster, one way or another, a disaster that Lara is determined to avoid, resist and out-sing. The stakes are high, and the notes are higher, but for the first time in years Lara feels like she has a challenge she can really sink her teeth into. 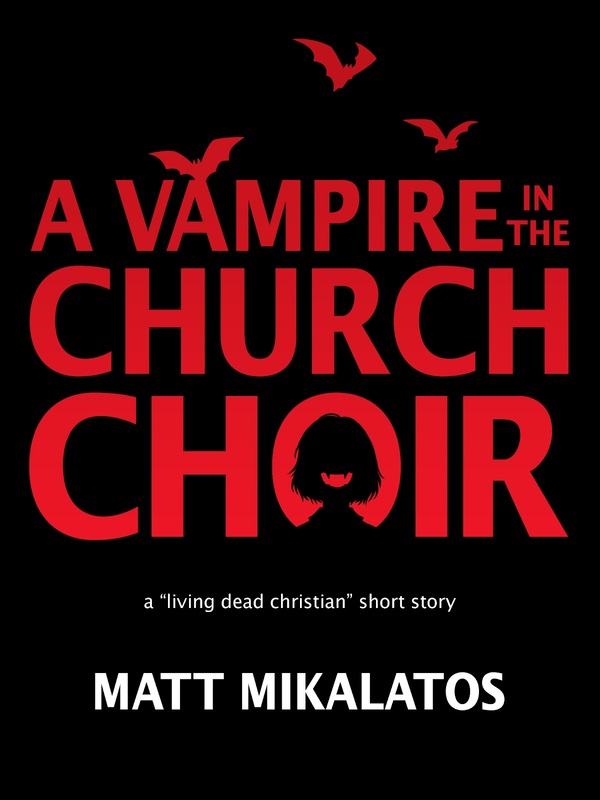 And hey, if your read and enjoy A Vampire in the Church Choir (or think you're about to read and enjoy it) please consider clicking on the Facebook or Twitter icons at the end of this post and tell a friend about this free ebook! This book is free. How to download ebooks to e-reading devices and apps. Cover art is by M.S. Corley. Also, for those of you new around here, you can follow me on twitter, check out more about my books, or sign up for my super infrequent e-mail list. Uh oh. Risks of self publishing! Yikes. I'll fix it. Thanks!